These are some of the very best utilities everyone should think about installing on their Mac. 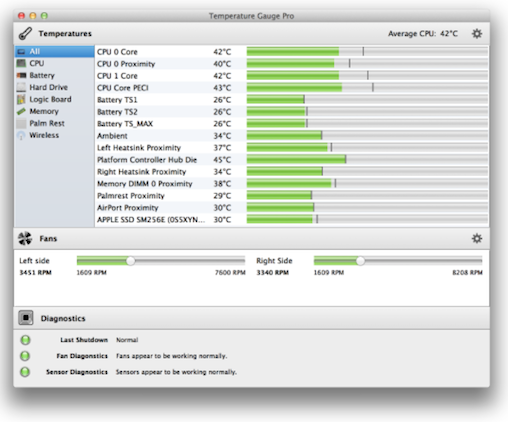 Worried your Mac is running too hot? Install this app and you'll be able to monitor temperature, or use the Pro version of the app to control fan speed. Get it. I love Onyx. It has been my reliable companion for a decade. I think it's a Mac essential, and it's free. Get it. If you're trying to get the very best performance and can't afford to fully upgrade the RAM inside your Mac (or even if you can), Memory Clean is essential. It tells you how much available memory you have and will flush your RAM with a single command, freeing up space that may have been previously used by other apps. It's an essential tool. Get it. This small app is a great tool if you work with compressed archive files. It opens all the most common archive formats as well as older formats (such as StuffIt) and can also get the data out of other kinds of files, including some Windows .EXE installers. It's one of those utilities that is incredibly useful when you need it most. Get it. This is the app to turn to if you need to free up drive space. It makes it easier to get rid of all kinds of unwanted files, including application logs and caches, Mail and Safari downloads and more. You can check and control those files it deletes to help make sure you don’t get rid of anything essential. Get it. Spotlight is great and in Yosemite it gets even better. However, you shouldn't ignore the award-winning Alfred app (free). This adds a host of powerful search features and workflow enhancements and is available with a Yosemite-like theme right now. Get it. This is the most powerful digital archive tool you'll find. You can store everything inside Evernote -- and then find whatever you need on any device. Get it. Install Caffeine and a cup of coffee icon shows in your Menu. Toggle this icon to prevent your Mac from going to sleep when there's something you want it to do. Toggle it again to allow your Mac to sleep as normal. Get it. AppCleaner is the best way to uninstall apps. It doesn't just delete the app, but also space-eating files associated with the app, such as caches and preferences. Drop the app you want to delete on AppCleaner and it shows you what it wants to get rid of before you delete. Get it. Not all these utilities are available from the App Store. When you launch them for the first time be sure to right-click on the app icon and OS X will request permission to run the app, or read this for more information. Finally, if you're a Terminal user you should take a look at this.